Do you have shuttle service from-to Airport/Town/Patong? We provide limousine services from-to Airport and any other destinations in Phuket. 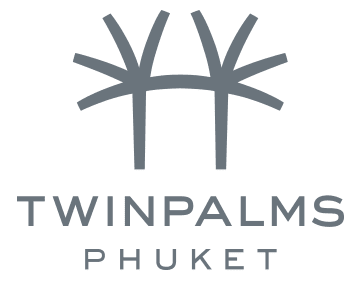 Twinpalms Phuket is located 170 meters from Surin Beach. The beach is accessed by crossing a public park. Does the hotel offer seaview room? All Rooms & Suites offer Garden & Pool view, the Penthouses offer partial seaview. WIFI is complimentary in our limousines, restaurants, beach clubs and as well, in all hotel rooms. Are the beach clubs open for public or only hotel guest? HQ Beach Lounge and Palm Seaside are open to hotel guest and public. Is the hotel being renovated recently? We continuously rejuvenated our hotel & facilities. Can hotel arrange activities on the beach (wedding, dinner, etc.)? Wedding and dinner can be arranged in HQ Beach Lounge and Palm Seaside however not on the public beaches. Is the private pool suite completely private? The Duplex Garden Pool Suite and the Penthouses with rooftop pools are completely private. What kids facilities does hotel provide / Does the hotel provide kids club? We welcome families however we do not provide kids facilities. We recommend a kids club within walking distance. Does hotel have staff who speaks other language (Chinese, French, etc.)? Our employees communicate in English and will do there best to assit you in other languages. How is the weather look like? Can you arrange private romantic dinner on the beach? Unfortunately not on the beach however adjacent to the HQ Beach Lounge and Palm Seaside. We recommend www.phuketbabysitting.com for your babysitting requirements.